Now you can add the contact form directly from blogger. Blogger has made this real easy. We bloggers now can’t depend up on the third party contact forms. Using this third party contact forms we should give an link from our website. Giving a link from our website may loss the website authority. So let’s use our own blogger contact form in our blogger. So by this we can safe one external do follow links. If you want good .edu and .gov backlinks you can get from here. 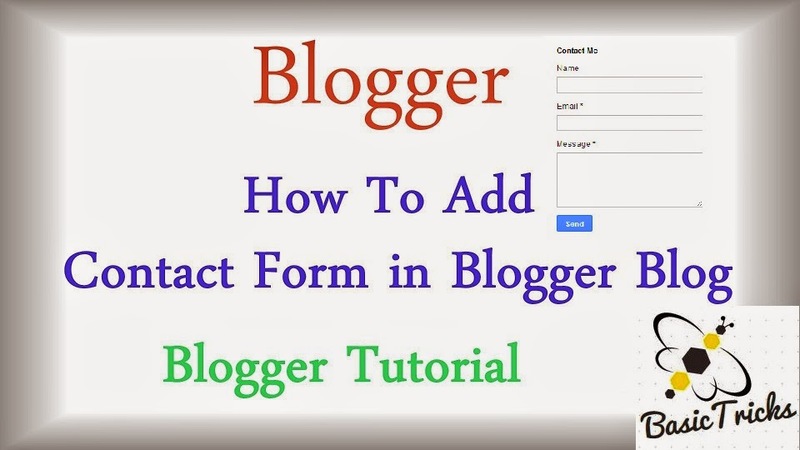 So to day i am going to tell you “How to add contact form widget to blogger officially“. You can also add it to your pages too. So adding a contact form to a blogger blog is really easy. So below i will explain you the step by step procedure to add the contact form widget to blogger. Here the easy steps will be explained so go according to the steps. A pop up will be opened like below. Now select the More Gadgets from the left Menu. The screen will be appeared like this. Now you should select the Contact Form from the list. A pop up will be opened then set an Title for the Gadget and Save it. Once completed saving, you will see an Contact Form on your Blog. The screen shot of the contact form will be seen like the below image. 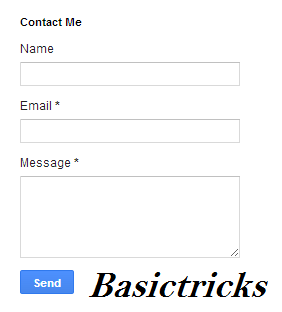 I hope that this tutorial will help you to ” Add an Contact Form to Blogger“. So feel free to share your problems with us. We will reply soon for your problem. Share the post and Like Us.